Written by experts in the field of ophthalmology, this new text assists in understanding new imaging technology and the clinical information it can provide. It allows the reader to review numerous images of various pathologies and would be of interest to retina specialists and ophthalmologists. Retinal imaging has undergone dramatic changes in the last decade, characterized by constantly improving image resolution, most notably, as it applies to macular diseases, thanks to ever evolving optical coherence tomography. However, imaging retina outside of the vascular arcades has come a long way with advent of new cameras and lenses. The most profound change has been the introduction of wide-angle angiography, which has demonstrated pathologies previously not seen or suspected and gives rise to new theories of pathophysiology of some retinal diseases. 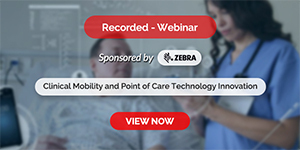 Understanding this new imaging technology and the clinical information it can provide requires a basis of knowledge and experience in associating the findings with other clinical signs in the eye and the rest of the body. 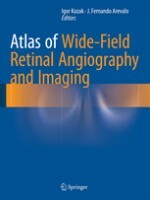 Atlas of Wide-Field Retinal Angiography and Imaging helps with this experience by allowing the reader to review numerous images of various pathologies and analyzes angiographic findings in the retinal periphery. Furthermore, as this technology increasingly fills ophthalmologists’ offices around the world, this book will prove to be an invaluable resource, written by experts in the field for retina specialists and ophthalmologists. ?